UPDATE!!! WEBSITE REVAMP SEPT 2013!!! Experience the boutique difference, shop the new ONLINE STORE! Fall Arrivals are being added daily! Go be a BOMSHELL! Thank you for your amazing talent and guidance with the boutique's logo, website and entire design makeover! You are a pleasure to work with and I absolutely love your passion for design. And now I get to call you my friend. 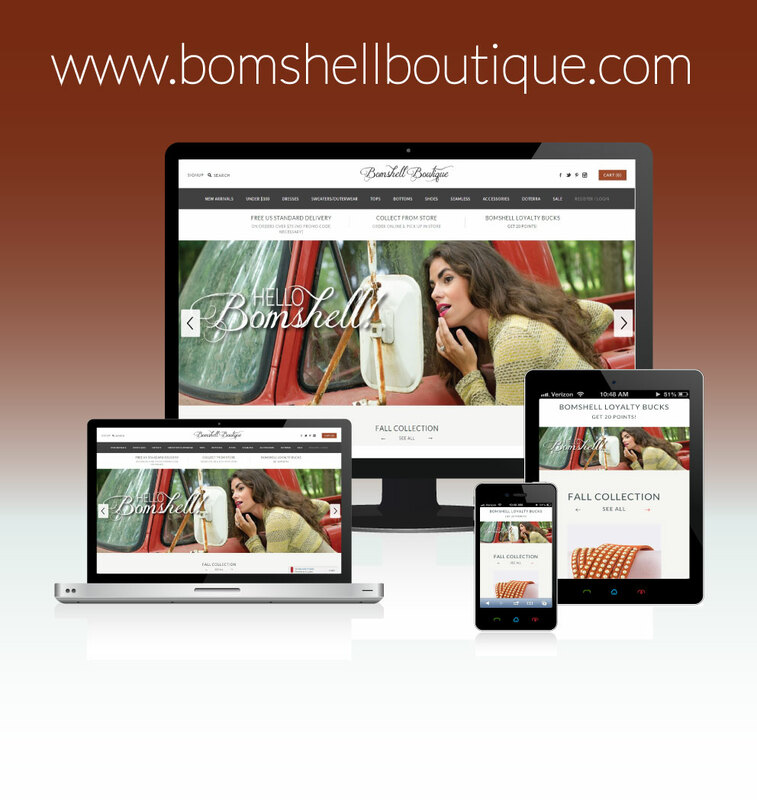 4/1/13-So I just branded Bomshell Boutique from start to finish. The client came to me looking for the perfect "IMAGE" to describe her unique clothing boutique. Happy to say she was pleased with her fresh new look I designed from Logos to Business Cards to Website! Facebook Facelift for Business Page | Spruce up your page with custom logos & fB cover banner!